Outwell have introduced a smart looking new lantern, called the Outwell Obsidian. 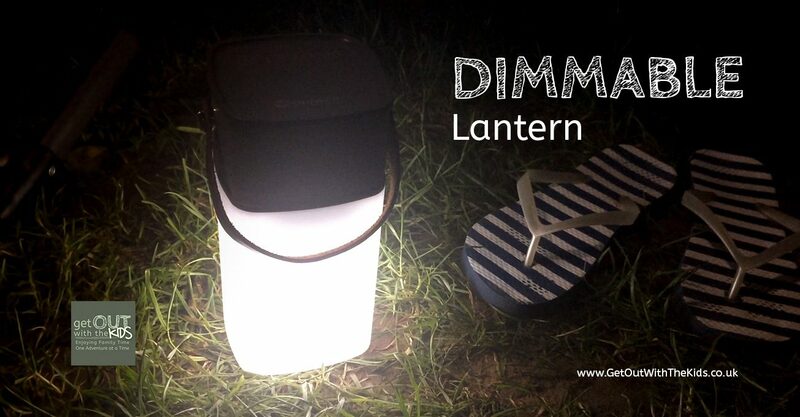 We test it out and find it’s more than just a lantern.  There’s a bit of a trend with some camping items to hint at being a little bit retro. That’s the vibe I get when I look at the new Outwell Obsidian Lantern, with its leather handle and retro looking grill, it reminds me of an old radio set. Even though no old radio’s looked quite like this. And looking like a radio is quite apt for this lantern as it’s also a Bluetooth speaker. 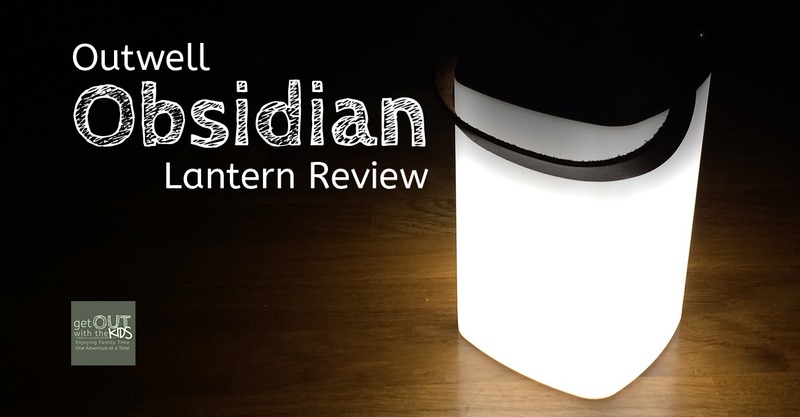 The Obsidian Lantern is rechargeable, and as with many items these days, all you need is a USB charger to charge up this lantern. 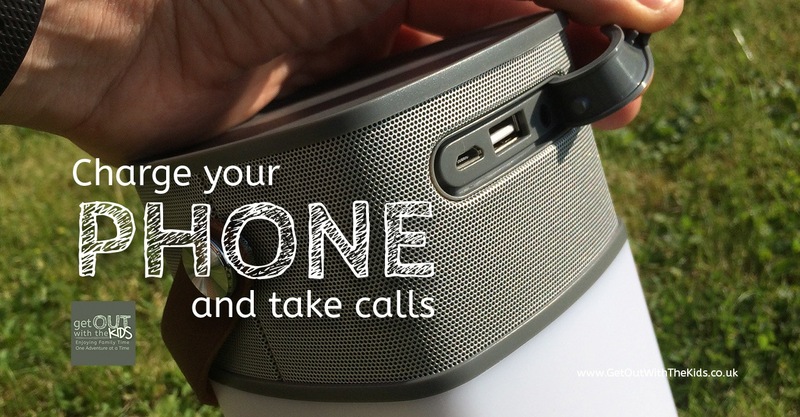 Hidden under a rubber flap are a number of connections: a mini-USB for charging the lantern, a full sized USB for charging your phone, and a 3.5mm aux input, which allows you to play music through the speaker even if you don’t have a Bluetooth connection. 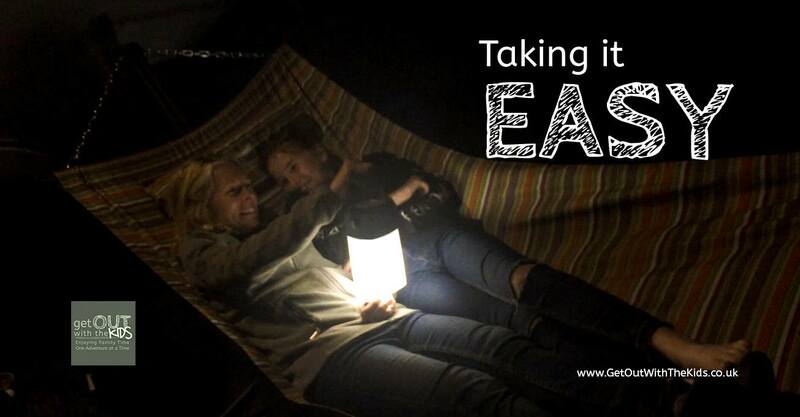 If you are just going camping for one night and not using the electric hook-up, charge this lantern up before you go and you not only get a light, but something you recharge your phone with. The light from the Obsidian is white but it’s a diffused white and not a harsh light. It’s not the sort of light you would want for task lighting but is perfect for adding a bit of atmosphere. It’s also perfect as a nightlight for the kids. You can dim the brightness by keeping your finger on the lamp button. At first, we were a little stumped as to how to turn the speaker on. 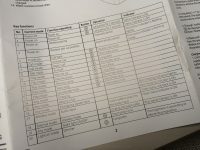 Yes – I had to read the manual! There’s a multi-function button on the top of the Obsidian that also acts as the power button. Simply hold it for a few seconds and the device comes alive. It’s then easy to pair to your Bluetooth device. Fortunately, the speaker isn’t loud enough to really annoy your neighbours at the campsite (it is 5W), but despite its size, it gives a good rich sound and doesn’t sound ‘tinny’ like some small speakers can. A single press on the plus and minus buttons on the top skip tracks; not adjust volume, though if you keep your fingers down on the plus and minus it will adjust the volume. When the Outwell Obsidian is paired to a mobile phone it can also act as a phone speaker. We don’t always get endless sunshine in this country. Fortunately, the speaker is also IPX4 water resistant, so it shouldn’t get damaged if you get caught in a surprise shower – though IPX4 means it is only splashproof, not fully waterproof. 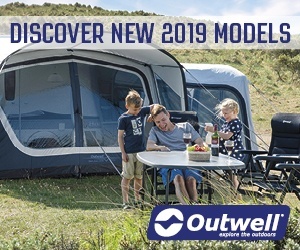 Click here for full specs on the Outwell webpage. We really like the look of the Outwell Obsidian and really like the ambience light it gives off. The kids like the speaker too, and when they want to play their music, it sounds much better through the Obsidian than through their phone’s speaker. The only downside is that the combination of button presses with the multi-function button can be quite confusing, and it’s easy to forget a single press versus a long press. 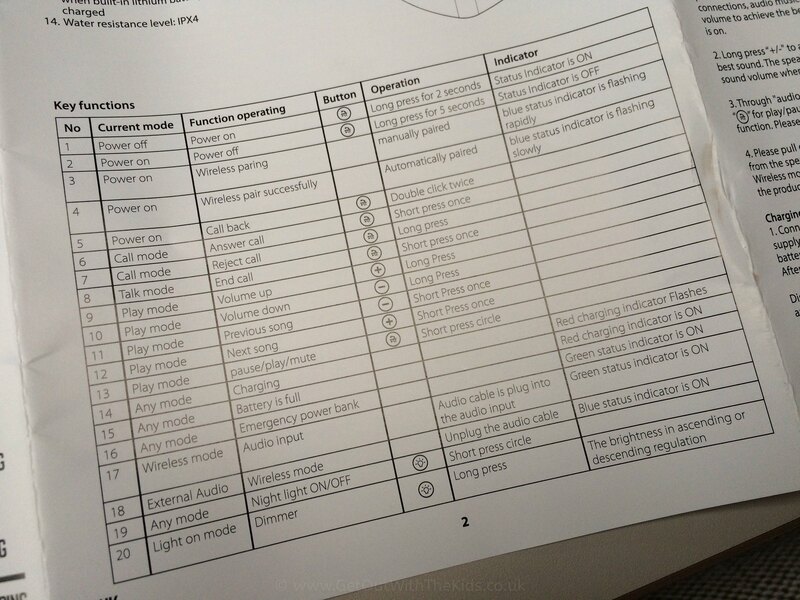 I don’t really want to consult a manual each time I want to use a lantern. However, for most of the time, we won’t need to use all those features. 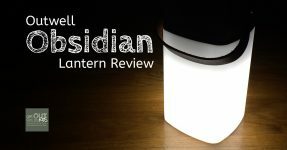 There are of course other light and speaker combinations available for much less than the cost of the Outwell Obsidian. However, if you want the extra features, the extra specifications, and the glamour looks, then you can’t go far wrong with this lantern. 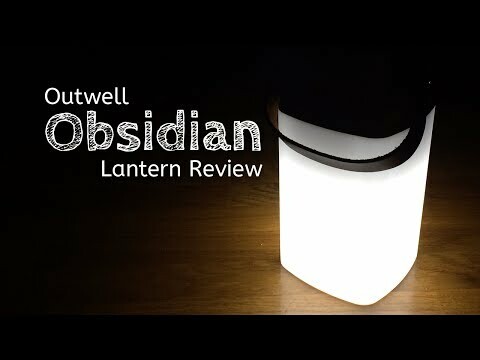 Disclaimer: We would like to thank Outwell for supplying the Obsidian lantern for this review. All opinions are our own. The Outwell Obsidian provides a good ambient light and the Bluetooth speaker provides a good rich sound. Using the multi-function buttons can be a bit fiddly, but most of the time you won't need to use them for basic operation. Goodness me… is there anything it doesn’t do given the instructions?! ?